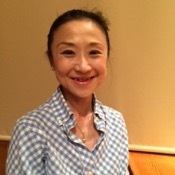 Traveler Review for Private Tour in Hakone, Japan by Tour Guide Hiroko I. About Hiroko I. Message Hiroko I. We spent a delightful first day in Japan with Hiroko. Not only is Hiroko a lovely person, but she is also fun to spend time with-like a friend you have not met up with in a long time, and are happy to reconnect with! She guided us through the multiple transports in Hakone (we would have likely been lost otherwise) and dotted our tour with cultural commentary, insight, and historical context, which was very appreciated. I wish we could bring her along throughout our journey. Thank you so much, Hiroko!